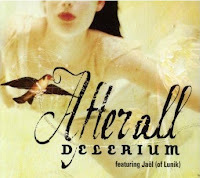 A few years ago with the release of their album Chimera, Delerium ran a remix contest on their track After All. well I am not much of a remix artist, but I am a big fan of music in 5.1 surround sound so I thought I would try mixing their song into such. Instructions: The above file is encoded using the DTS surround format. To listen to it you must have DTS capable hardware. Simply burn the file to an audio CD and play on your DVD player. or if you have DTS decoding on your PC, you can listen to it that way as well.